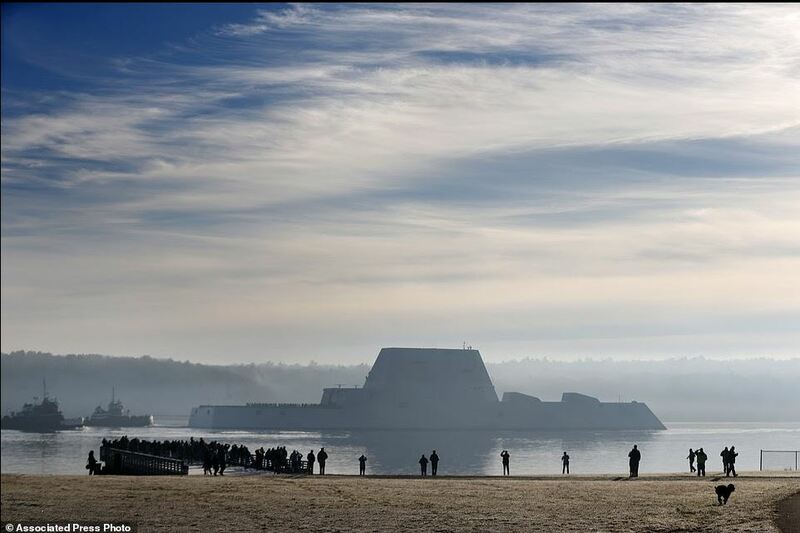 The USN’s newest ship is USS ZUMWALT. Originally this was to be number one of 32 ships of the class however, due to the cost of these vessels the order has been reduced to only 3 ships in total. The cost of the vessel is conservatively costed at USD$4 Billion each. Click HERE to read more of this new class of ship. Oh by the way the ship was commissioned on 15 Oct 2016 @ 1700 and click HERE to view ceremony. 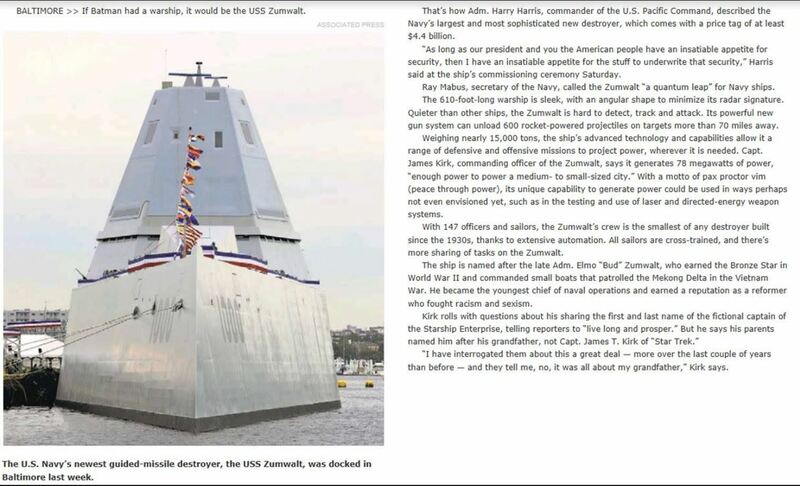 The ship was named after Admiral Elmo Zumwalt who has an interesting history and was the inventor of the Z Gram. Click HERE for further information.